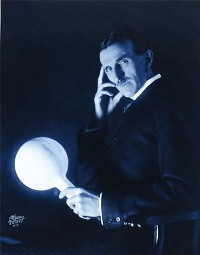 I was watching an interesting documentary on Nikola Tesla the other night in my living room and got tired so I moved it to the bedroom. When I loaded it into a laptop and tried to play it, the video was playing just fine on the laptop, but was purple on the external tv screen. The entire screen wasn’t purple, just the video box. The solution was to switch the output to External Screen only and it played back fine.